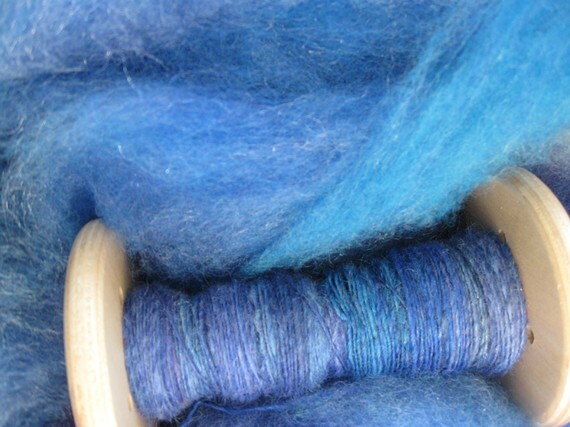 A blend of vibrant dyed blue fibers, from sky blue to royal to navy blues, designed especially for creativity in spinning and felting projects. This blend is created from homegrown, hand washed, dyed, blended and carded bluefaced leicester wool, alpaca, mohair and firestar added for extra sparkle. Approx. 1/2 wool, 1/4 alpaca, 1/8 mohair and 1/8 firestar. 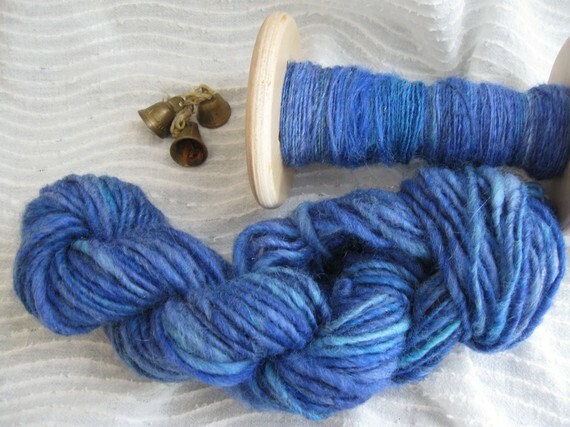 This colorway is also available in 8oz and 1 pound lots. For more or less please contact me for availability. Discounts on quantities greater than 2 pounds. Handwashable. Sustainably raised and processed.